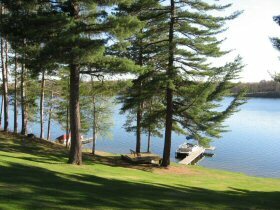 Classic, full-service Northwoods resort situated on nearly 1,000 pristine feet of Iron Lake shoreline. 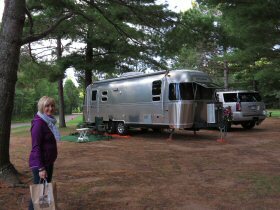 There are 5 beautiful lakeside cabins and 61 RV campsites that can accommodate all types of campers – including the biggest of big rigs! 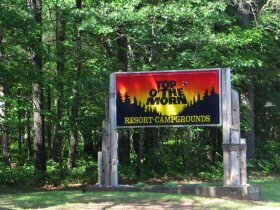 The campground includes a wide variety of site options – including full hook-up, 30A or 50A power connections, water & electric sites, lakeside sites, pull-thru sites, primitive tent sites, shaded or open locations. A perfect 4-season vacation destination or a peaceful overnight resting stop!